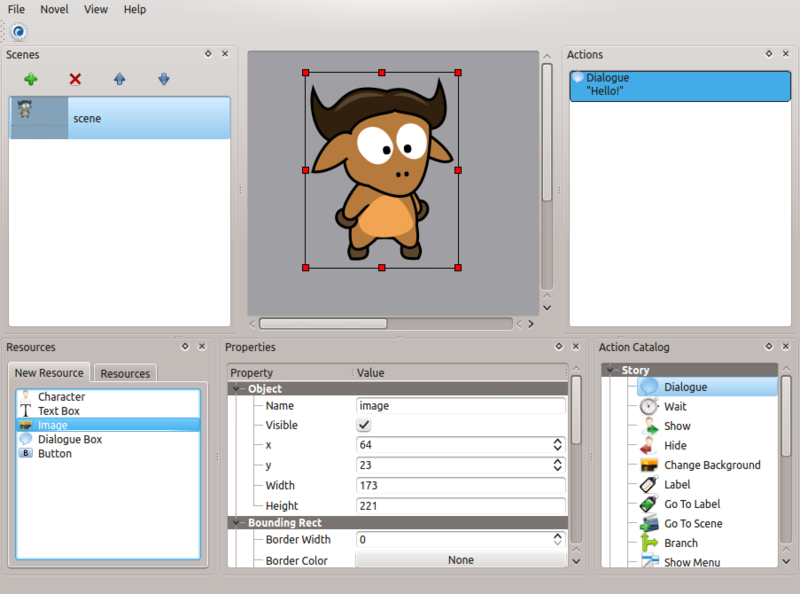 An easy to use and cross-platform visual novel maker. 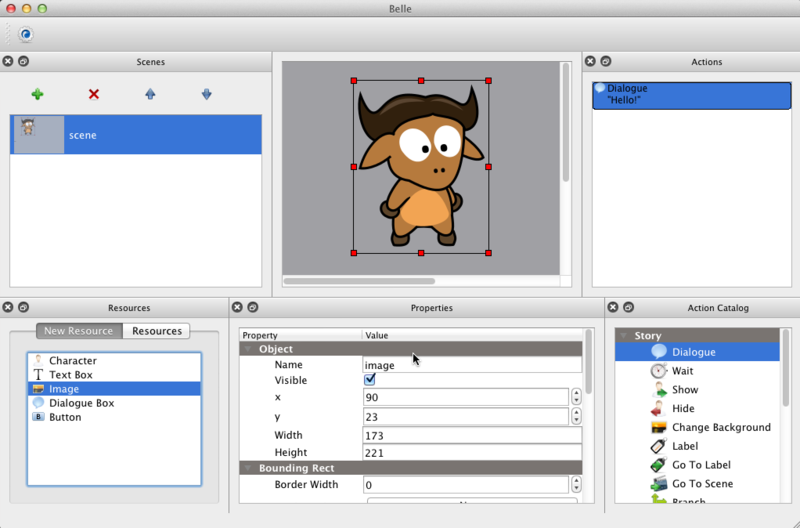 Belle is cross-platform visual novel maker focused on being user friendly. 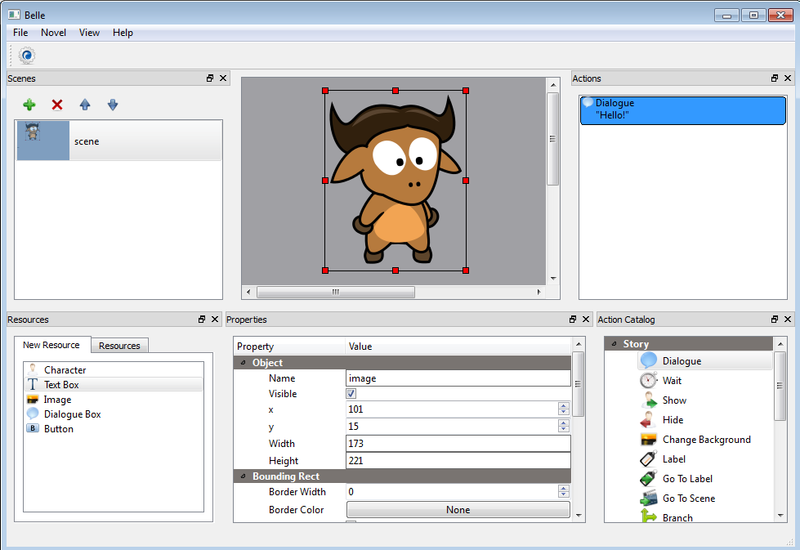 Despite of being in early stages of development, it's reasonably stable already and provides many tools for creating complex visual novels or other 2-D games. Icons used in this website: Linux , Windows , OS X , HTML5 .